She's won a National Title and a World Bronze Medal (both in 1995), but now Nicole Bobek is going for the Oscar! She will appear with Academy Award winner Sean Penn in his remake of All the King's Men. 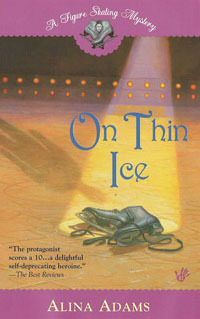 Though, Sonja Henie aside, success in film has been elusive for America's skating stars. Olympic Champion Carol Heiss Jenkins starred in Snow White and The Three Stooges, while two-time Olympic Champion Katarina Witt had a co-starring role in Ronin. Peggy Fleming on the “Fantasy Island” episode: “Skater’s Edge,” “Newhart” (“Jumpin’ George”) and “Diagnosis: Murder” (“Murder on Thin Ice”). Dorothy Hamill on “Fantasy Island” (“The Winning Ticket”) and “Diff’rent Strokes” (“A Family on Ice”). Tai Babilonia and Randy Gardner on “Hart to Hart” (“Silent Dance”), “St. 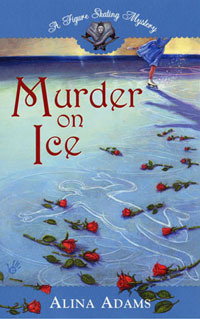 Elsewhere” (“Heaven’s Skate”), “Beverly Hills 90210” (“Fire and Ice”) and “Diagnosis: Murder” (“Murder on Thin Ice”). Scott Hamilton on “Frasier” (“Frasier Has Spokane”). Kristi Yamaguchi on “Everybody Loves Raymond” (“The Dog”). 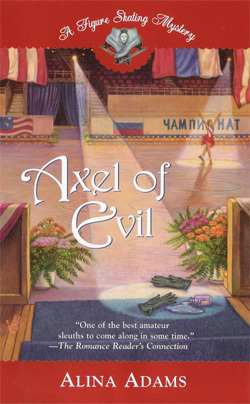 Oksana Baiul on “Arliss” (“Fans First”) and “Strong Medicine” (“Accidents”). Nancy Kerrigan on “Saturday Night Live” and “Boy Meets World” (“Wrong Side of the Tracks”). Michelle Kwan in “Sabrina: The Teenage Witch” (“Sabrina: The Teenage Writer”), “Family Guy” (“A Hero Sits Next Door”), "The Simpsons" and “Arthur” (“Crushed”). Your books are great! Keep up the good work. I was wondering if you could give me some advice on how to break into the worlds of ABC sports and ESPN. I read that you were a former researcher and producer for figure skating programs. This is my dream job. Figure skating is my passion! I just graduated from The Pennsylvania State University with a bachelors degree in journalism and would love nothing more than to work with figure skating in some way. My enthusiasm for the sport, its stories and personalities is boundless! Since you worked in the industry do you think you would know who would be a good person to contact about jobs in the future? Is there any special qualities that people at ESPN and ABC are looking for in its employees? I would love to get some advice. I will do anything to get my dream job! I know you must be terribly busy but this would mean so much to me! If you get the chance, my e-mail is slf226@psu.edu.